Fulbright New Zealand and the Fulbright New Zealand Alumni Association invite you to ‘Wil McLellan – Innovation through collaboration, ignorance and desperation’. Leadership and Innovation are popular topics in today’s fast paced digital economies. Wil McLellan will share experiences and lessons learned from a journey he could never have imagined. From arriving in NZ with a backpack, through working in corporate technology, to creating computer game startups and working with some of the largest entertainment brands in the world, then rallying displaced technology companies after earthquakes and building the EPIC technology campus (one of the first buildings back in the ravaged city of Christchurch), to winning a place in the Eisenhower Fellowship to help create a more Peaceful, Prosperous and Just world. The journey so far encompass success, failure and fear. Sometimes not knowing something is impossible can make it possible if you have the desperation, determination and friendships to get through. 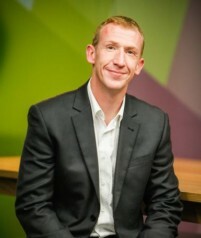 Wil has over 15 years of experience in the technology industry ranging from growing business for global organisations to creating computer gaming start-ups and building technology hubs. Following the Christchurch earthquakes Wil created the Enterprise Precinct and Innovation Campus (EPIC) with Co-Founder Colin Andersen. Colin and Wil worked with partners including Google to develop the innovation hub from concept to reality. The EPIC building was one of the first developments in the Christchurch Red Zone. EPIC houses over 280 people across 25+ technology focussed companies within a campus style building which offers shared services for business efficiency and promotes inter-company collaboration for opportunity development. Wil is also part of the leadership team for Assurity Consulting which helps to improve software outcomes and digital transformation for the largest companies in New Zealand. Recently Wil was awarded the Eisenhower Fellowship for his EPIC project to create “Innovation Bridges” between New Zealand and the rest of the world.